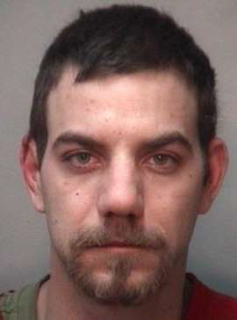 A warrant for the entire country has been issued for an Ontario-area man who is a suspect in a murder. The man is wanted on first-degree murder charges. This was done just after the murder of another man in Orillia Ontario earlier this month. The name of the suspect is Brian Quesnel and is 28-years-old. He is also one of three suspects in the murder case. Ontario Provincial Police mentioned in a media release. The two other suspects have already been charged in the murder of Joseph Simonds, 34. It is being said that before 4 am on the day of June 4th there was an emergency call to a shooting. The home EMS responded to was on Franklin Street in Orillia. This area is not far from Toronto with a distance of about 140 kilometers. Joseph Simonds was taken to a hospital where he would later be announced dead. According to acting Staff Sgt. Peter Leon, it is possible that the suspect is still in the area of the murder. Despite that possibility, the police are not taking any chances and have suspected that Brian could be anywhere in the country at this time. However, it is still possible that he is in The Nation. The Nation is a sprawling municipality that is 650 km squared. "There's a strong likelihood he could well be in the area," the officer said. "We're hopeful someone may know his whereabouts." Police have said that if you see Quesnel that they should not approach him and should instead call the tip line 1-844-677-5020. Citizens with information have the option of calling crime stoppers 1-800-222-8477 or the OPP 1-888-310-1122. The search is still ongoing for the murder suspect.